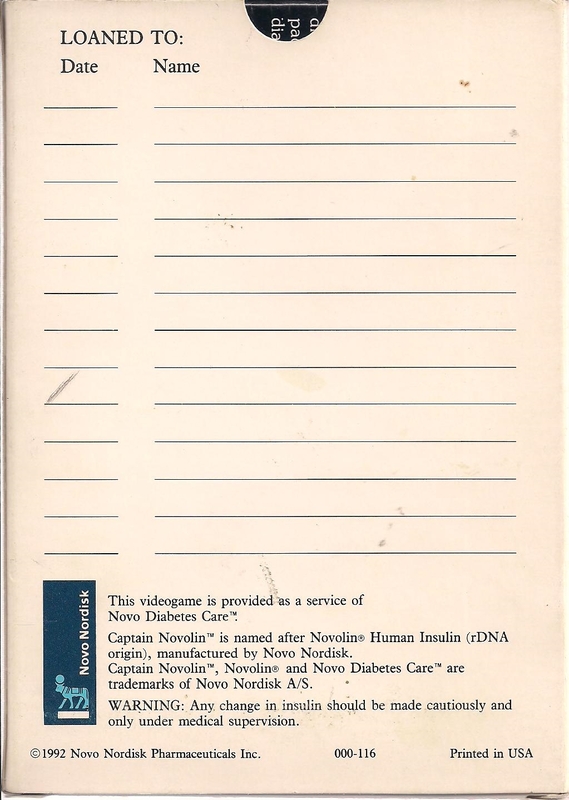 Here’s something you don’t see every day. 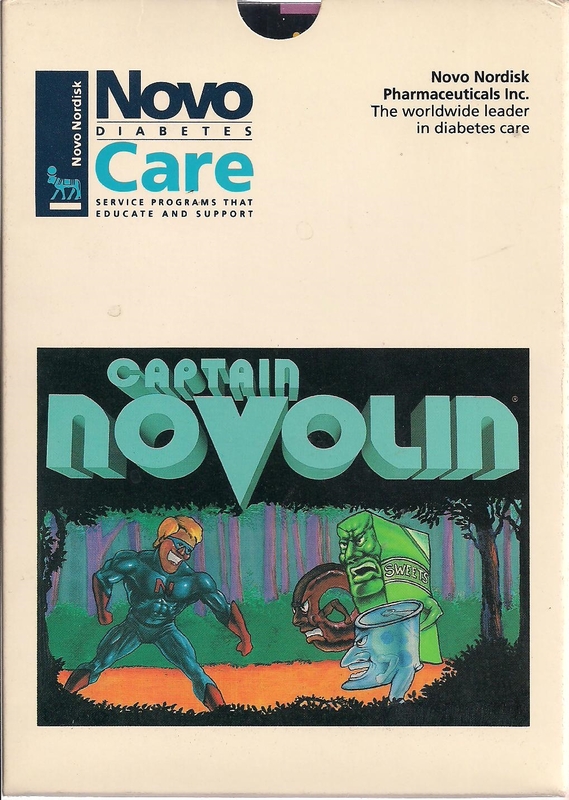 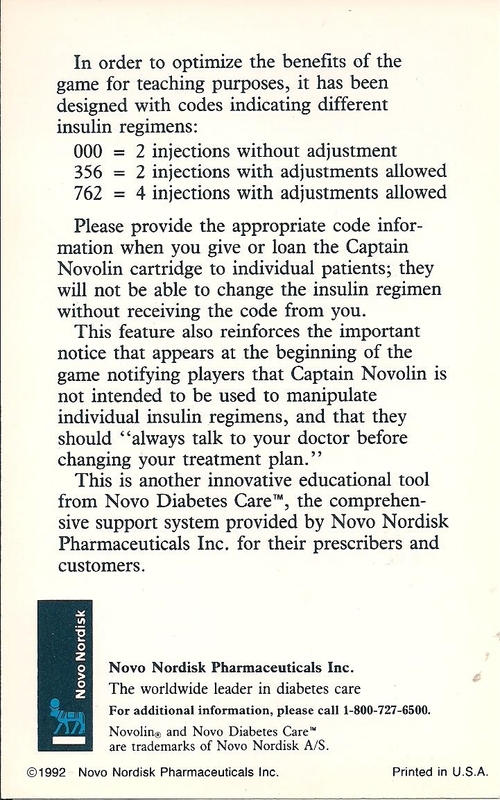 When Novo Pharmaceuticals put Captain Novolin in hospitals for the use of their diabetes patients, they intended for the game to be loaned or given to the patients and even provided a checkout sheet similar to a library. 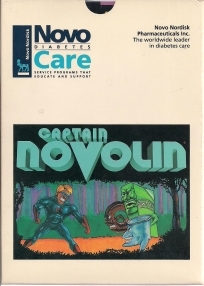 By all accounts, this is one of the worst SNES games out there, but it apparently wasn’t too concerned with playability. 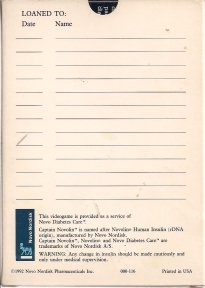 This example was left in a closet in a clinic until a recent renovation. 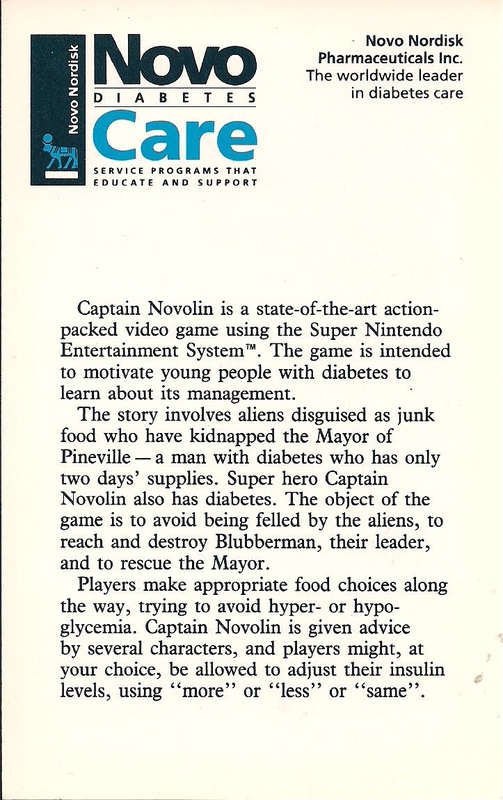 Here’s some scans of the informational materials they packaged with the game.